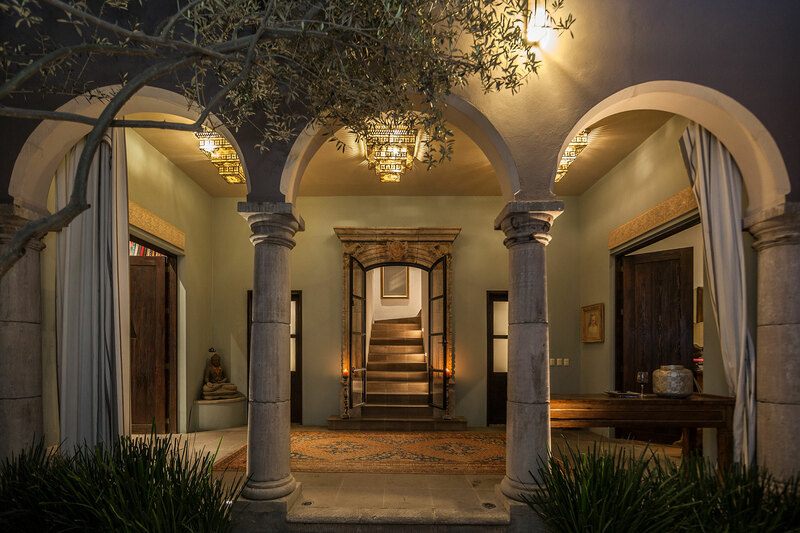 In San Miguel de Allende, Mexico you will discover Casa Jade, a unique combination of modern sensibilities and artisanal accents. 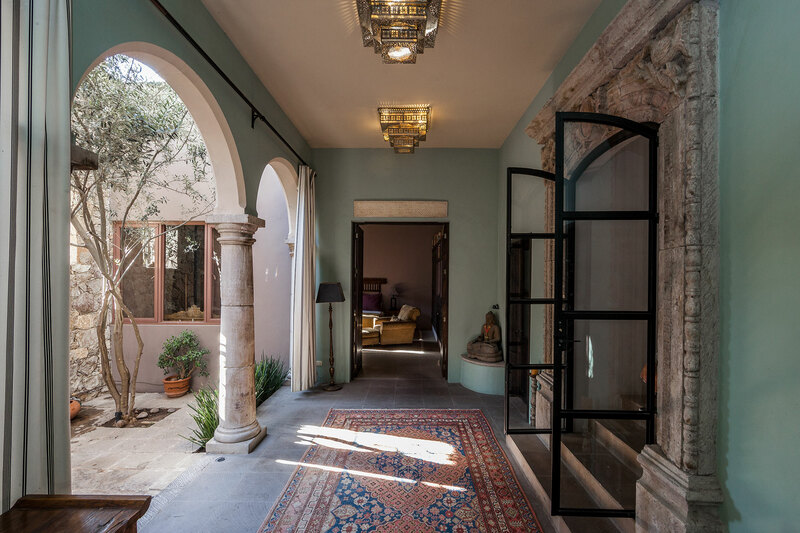 Located in the neighborhood of Parque Juarez, this three-story home was designed by acclaimed local architect Jorge Olivares and his wife and features a hand-cut stone façade and a vibrant rock garden in the entry. 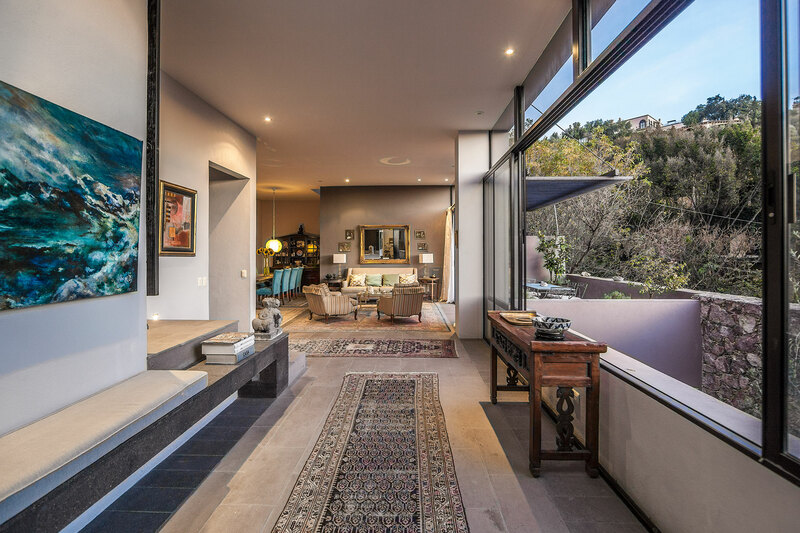 The home itself features steel construction, light filled rooms and floor to ceiling windows which highlight the beautiful views. Traditional touches like boveda ceilings, mission tiles and cantera floors and door frames blend effortlessly with more modern touches such as the Corriat stove, beveled glass cabinets and carrera marble countertops in the kitchen. The four-bedroom, four bath house also includes a convenient gym, multiple outdoor terraces and two cozy courtyards from which to enjoy the lush surroundings. Jade plants, mesquite and huizache trees add an exotic feel to the gardens which overlook a verdant canyon. 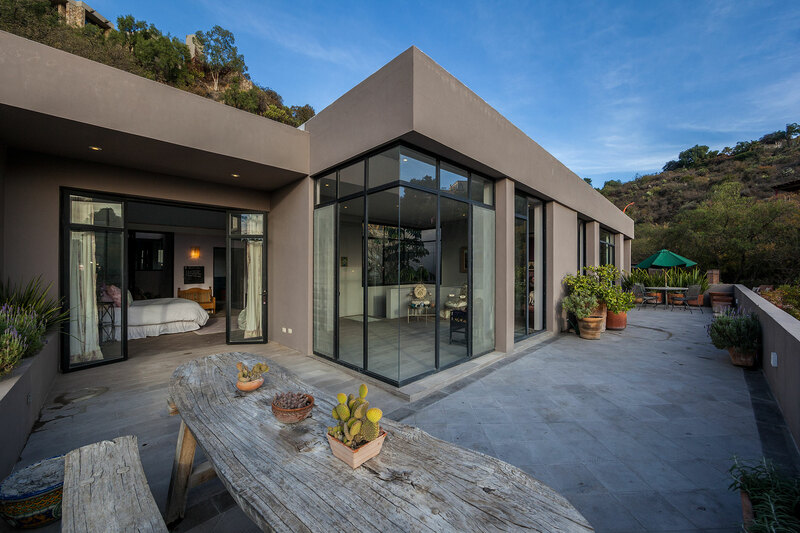 This San Miguel de Allende escape is listed for $1.35 million with CDR Bienes Raices San Miguel and is showcased by Luxury Portfolio.